Aside from dogs and cats, rabbits also make wonderful indoor pets. They are cute, fluffy and with a very lovable personality. Just looking at them would make your heart melt. If you don’t have a pet rabbit yet, it’s easy to get one. However, there are a few things that you need to know before getting a pet rabbit. Understanding these factors will ensure that having a pet rabbit is best for you and these will help you become a better pet owner. Rabbits are not all about being adorable. In fact, these tiny leaping animals have something to tell you if you are a thinking of getting a pet rabbit. Of course, human company would keep your pet entertained. However, your single pet rabbit will be more satisfied if you provide him with a bunny friend. You see, rabbits are social animals. If you observe rabbits in the wild, they usually live in groups. They’re happy communicating in their own language, playing with and grooming each other. If you want your pet to be happy, buy another bunny. Rabbits usually live about 10 to 12 years. Could you possibly give them the same love and affection continuously? Could you still provide your pet rabbit with a clean shelter, nutritious food and bunny essentials as always? If you think that you could handle the long commitment, then getting a pet rabbit is for you. If you think of buying a pet rabbit for you to hug, let us tell you this information. In reality, rabbits don’t like it if you continually pick them up. They don’t feel comfortable if their tiny hinds are not touching the ground. If you do pick them up, they’ll get irritated and kick you until you let them down. If pet dogs love to chew and bark, and cats want to chase everything that moves, rabbits like to dig. Getting a pet rabbit means don’t get mad if she makes a tunnel hole inside your garden, or if its hay nest is in disarray due to digging. Digging is their favorite pastime when they’ve got nothing to do. In turn, support their digging habits by providing them with earth pits for them to dig. This way, you will also prevent them from digging in your garden. Having wild rabbits as their ancestors, captive rabbits have acquired the bloodline of being social and adventurous. 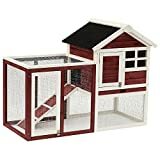 If your pet rabbit always sees the same scenery and has the same set of rabbit toys, your pet may get bored which might affect their current health. To prevent this from happening, redesign the scenery of your pet’s home from time to time and provide them with new toys. Now that you know these few interesting facts about rabbits let’s go on discuss your children and your pet rabbit. Though rabbits are perfect pets for a small space, if you have children, your children might be your pet rabbit’s most formidable enemies. If you think of buying a pet rabbit for your child, then think again. Kids often get too excited when they see something fluffy and cute such as your pet rabbit. Kids often show their affection to pets by hugging, squeezing, or pinching them. In other words, children can’t control exhibiting this quite injurious affection. When rabbits are close to children, they may be startled with your children’s unusual and uncontrollable behavior. As mentioned earlier, rabbits hate to be cuddled, much more if they’re being hurt. Rabbits are fragile little creatures. They have surprisingly delicate bones which could break due to mishandling or dropping. Your pet rabbit might not be the only one hurting, but your child may get hurt as well. Rabbits tend to bite, kick and scratch when they’re picked up or cuddled. Hence, your poor little child might get hurt unintentionally by your pet. Rabbits are social creatures, but they also want peace and quiet. If your child really wants to see the rabbit, watch your child and pet rabbit closely. However, if you can’t handle the responsibility of caring for a pet rabbit with children at home, you could take your children to rabbit rescue centers instead. It is the best place for children to interact with rabbits through feeding them. This way, your child would never miss the chance to pet an actual rabbit even for a little while. 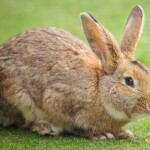 And here’s another factor to consider before getting a pet rabbit – the cost of keeping one. Keeping a rabbit could cost you roughly as much as $1,300 per year. These costs include one-off costs such as the rabbit hutch, bowls, neutering fee and toilet trays. Other costs include ongoing ones such as food, treats, hay, toilet litter, injections, unplanned vet bills, checkups, as well as bunny toys. Since rabbits are usually kept in pairs, double these approximate costs and you’ll come up with $2,600 per year. Keeping a pet rabbit might be a little bit costly on your part but keeping one or more would be rewarding because of the friendship that rabbits offer. A pet is not supposed to be viewed as only an animal; you should also consider it as a part of your family. 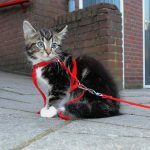 No matter the costs, you should be able to exhibit responsible pet ownership. 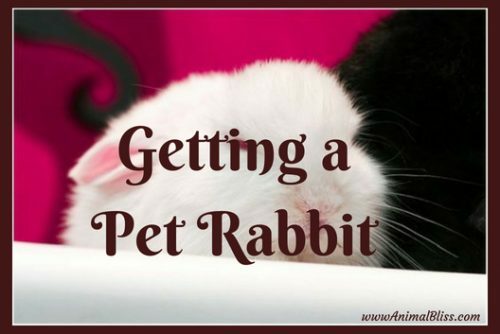 Do you have any other advice to share about getting a pet rabbit? Very helpful article. 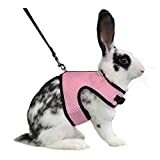 Good for safety around rabbits. Rabbits are also highly susceptible to URI and treating them is very difficult. My last rabbit caught something from my kitty and unfortunately died with in 12 hours. As much as I want another rabbit, I don’t feel comfortable bringing one into my home while my kitty is still here since he can’t seem to completely get rid of it. Aww, that’s sad to hear, Connie. That was a quick death! I don’t blame you for feeling nervous about bringing in another rabbit. Maybe some other time? I’ve always wanted a bunny, but I know that A: I’m so not prepared for life as a bunny owner and B: Kolchak will want to eat it really badly. Well, we don’t want to be feeding Kokchak little bunnies, do we? lol Thanks for your visit today, Jodi! Nice to see you here. Take care! I wish this post would be given to all those petting zoos. It breaks my heart when those bunnies do not want to held or squeezed. Its obvious that they want to be given a break from all those children’s hands. But these are very special animals are deserving of a good home and family. This is a very great article. Thank you for your comment, Danielle. I dislike seeing children groping animals that don’t want to be handled as well. I’m glad you like the article, and hopefully people can learn from it too. Take care! Very true about rabbits being a commitment! I adopted a rabbit from a hospital that was from a Child Life Therapy room. She got old and tired of dealing with the kids. That bunny lived for 16 years!!! She was beautiful, loving, and gave her entire life to children, so I decided to take care of her in her final years. Sounds like you know your bunnies, Mindy! Thanks so much for your insight. And thank you for adopting that one from the hospital. 16 years! Awesome! I’m glad you warned about the mischievousness too. Chewing wires is so bad. Good to know about their stinky messes too. Eww. I’m glad your children had one or two that they could play with. That’s cute. I appreciate you visiting my site today. Do come again! 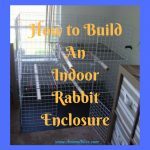 What a lot of great content, if you’re planning to get a rabbit! My daughter wanted a bunny so badly a couple of years ago, and I wish I would have had this to read then! 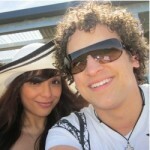 Thank you for visiting my blog today, Amy. Yes, this information would have been just the thing that you would have needed. All the best! 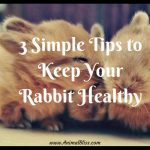 Great advice about the commitment of keeping a rabbit! My brother had a pet rabbit for several years but he recently passed away a few months ago. 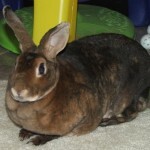 There are lots of rabbits for adoption too an February is Adopt a Rescued Rabbit Month! Ann Staub recently posted…Dig In! I’m hoping that it’s the rabbit that passed away and not your brother? Either way, sorry to hear that. I did not know it was Adopt a Rescued Rabbit Month! Thanks for the heads up! 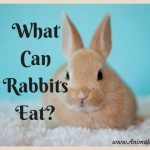 Good information about caring for rabbits! I hope that before someone BUYS a rabbit from a pet store, they check with local animal shelters and rescue groups to adopt one that needs a forever home! You are right about that. I was not aware until a few minutes ago that this is Adopt a Rabbit month. Oops! Yes, I do agree. One should always thing about adopting first. What was I thinking. Thanks for the reminder, Christina. 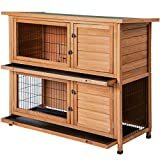 Great advice for families looking to get a rabbit, thanks! You’re welcome, Jennifer! Thanks for stopping by!